The Roughneck Raptor Hi-Top Safety Trainers have a polyurethane upper which is ultra lightweight and easy to clean. They feature a composite midsole and have scuff guards on the heels and toes. 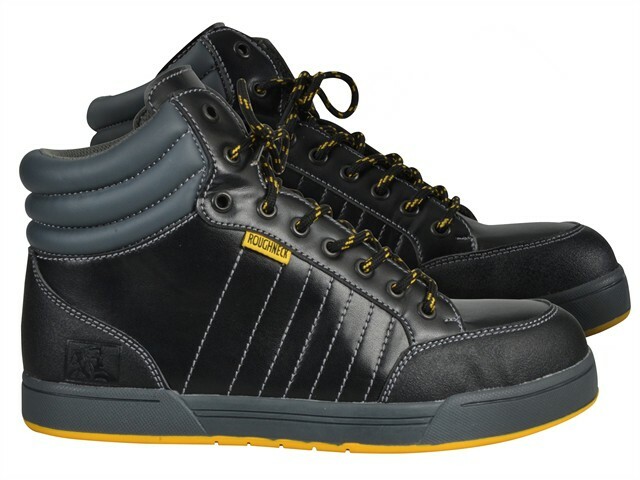 The trainers have an S1P safety rating with an oil, chemical and slip resistant sole. Their steel toecaps are rated to 200 Joules. Supplied with a spare set of laces.